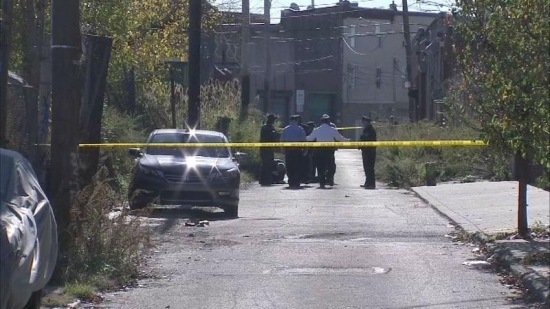 The Philadelphia Medical Examiner's office nows says that the bodies of two newborn babies found discarded in Kensington over the weekend were "medical specimens" used for research. The bodies of a boy and a girl were discovered by a 9-year-old boy and his friend in alley on the 1800 block of N. Palethorp Street on Sunday morning. The medical examiner said the corpses were preserved in formaldehyde and had undergone autopsies. They died some time ago and may have been stillborn or died in the womb and donated for medical research or training at an academic institution. Police are still determining why they were improperly dumped on the street. They are hoping surveillance video from the scene caught the suspects. Pennsylvania Governor Tom Wolf says that his administration will continue to work with the federal government to resettle Syrian refugees here in Pennsylvania. He says that, "families leaving Syria are trying to escape the same violence and unimaginable terror" as the Paris attacks. He wants Pennsylvania to "continue to build on its rich history of accepting immigrants and refugees from around the world." Senator Pat Toomey (R, PA) tweeted, "In light of the credible report that a violent Islamist extremist claiming refugee status participated in the attacks in Paris we must reexamine our security protocols for admitting Syrian refugees." Eight governors are standing up against relocating Syrian refugees to their states or are questioning the security protocols. Since October 1st, 14 Syrian refugees have arrived in Pennsylvania. In the spirit of the holiday season, we want to keep things festive and bright. We have heard and value our loyal customers' feedback and as a result, have decided to remove the photo package purchase requirements. Clear skies, temperatures falling through the 50's this evening in Center City.